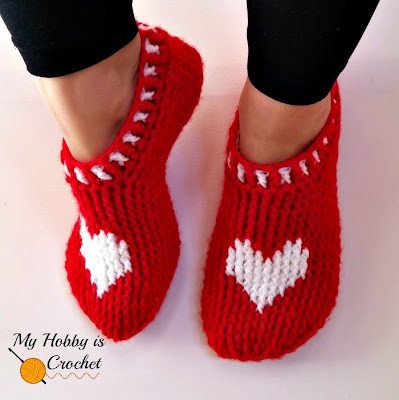 Get your heart on with these adorable crocheted heart slippers. These look cozy and fun! 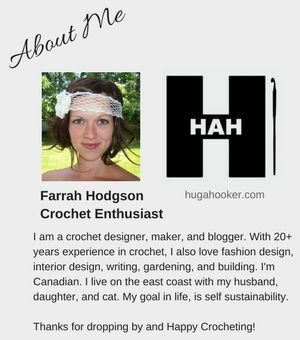 By using post crochet stitches, a heart graph, along with written instructions, you can whip up your own in time for Valentine's Day! 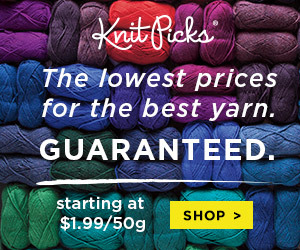 2 skeins of DK / 8 ply yarn in red (color A) and small amount of white (color B). By simply adding a small embellishment to an accessory, it gives it a great polished and finished look! The designer has done a great job in showing this. 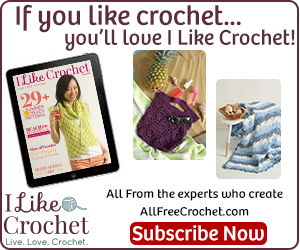 This is also a great time to learn the X stitch! I love this cowl! 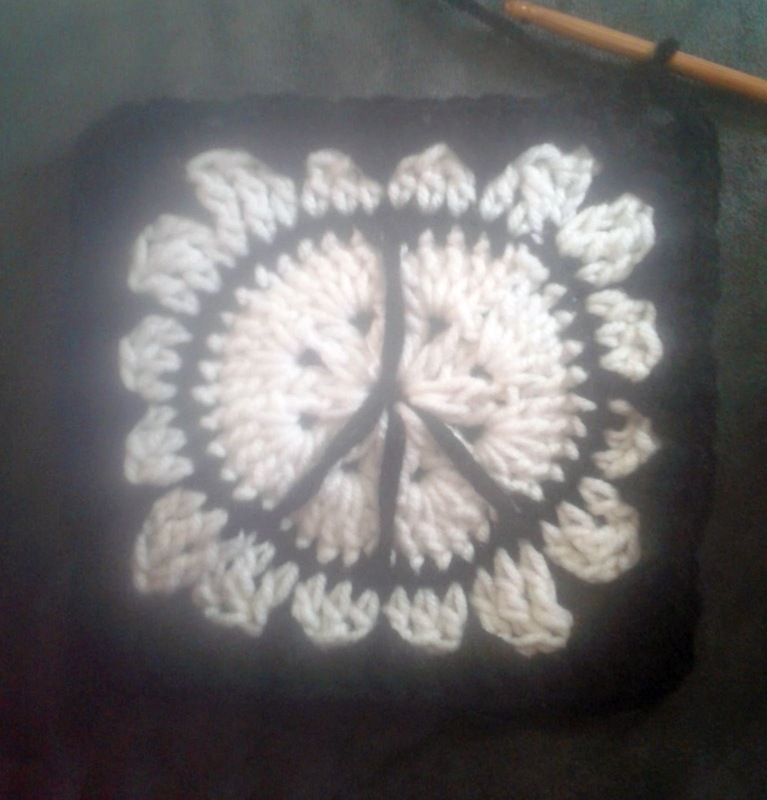 The lacey (ish) square in the center is all it needs to give the look of vintage elegance! 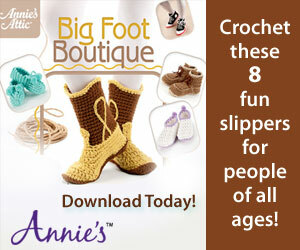 You will need to sign in to get this free pattern, but that is also free to do. 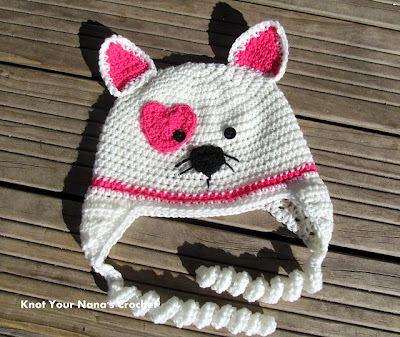 This pattern is also featured in a Craftsy Class! 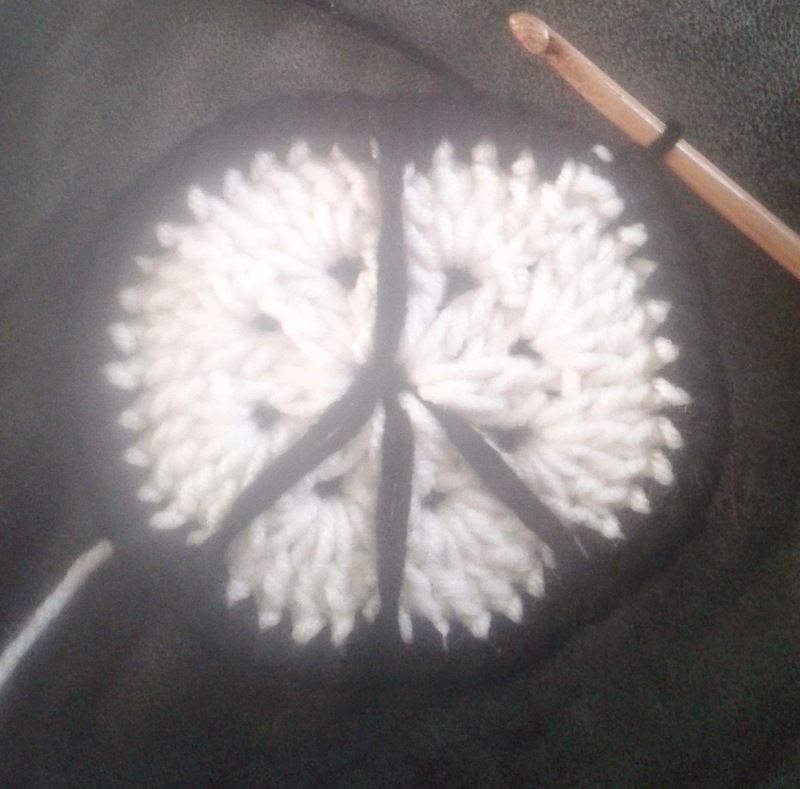 These peace sign motifs can be made with any type of yarn- using any crochet hook to match. 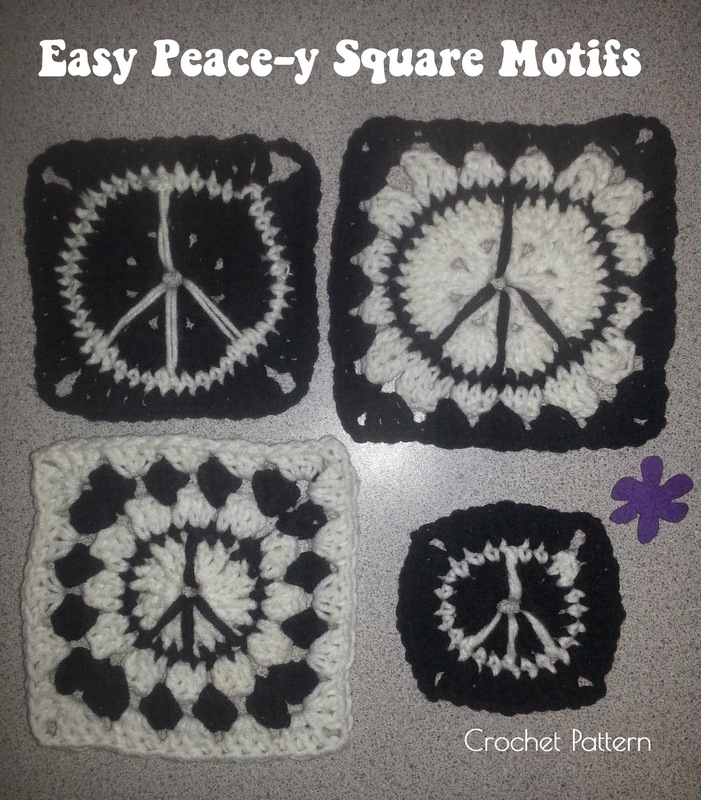 They have been designed so that you can interchange, mix and match, and attach to the granny square motif! 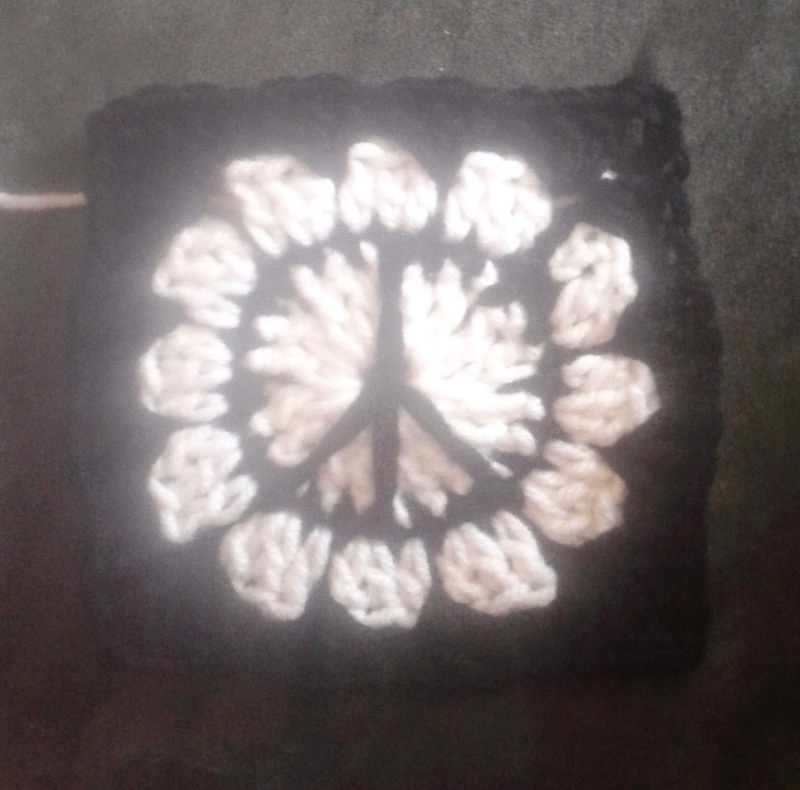 Two sizes are available for the peace sign square, which gives you more freedom in creating an array of designs. 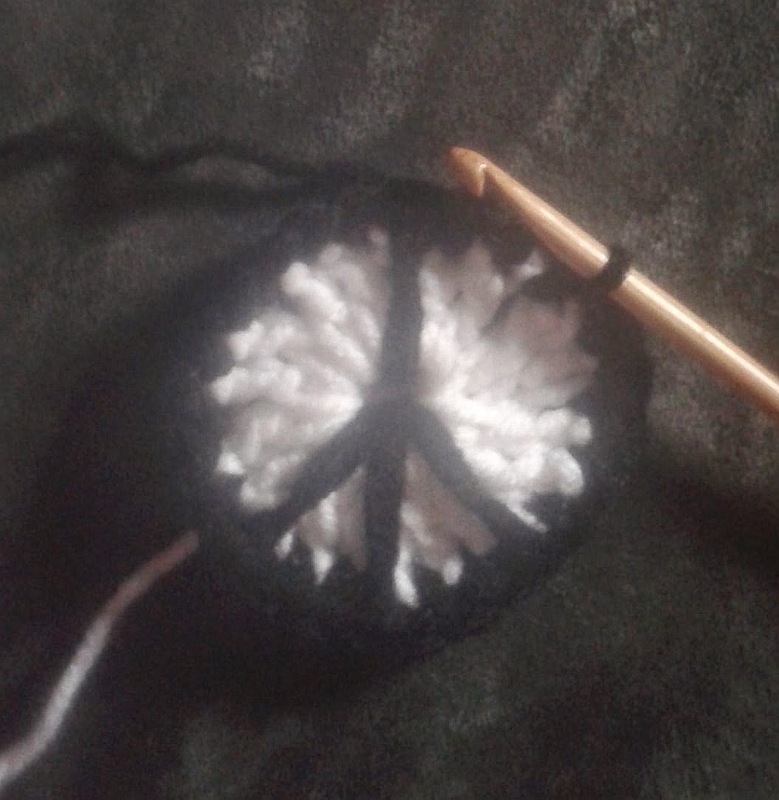 · Small amounts of Worsted Size 4 medium yarn, Red Heart Super Saver in White and Black. 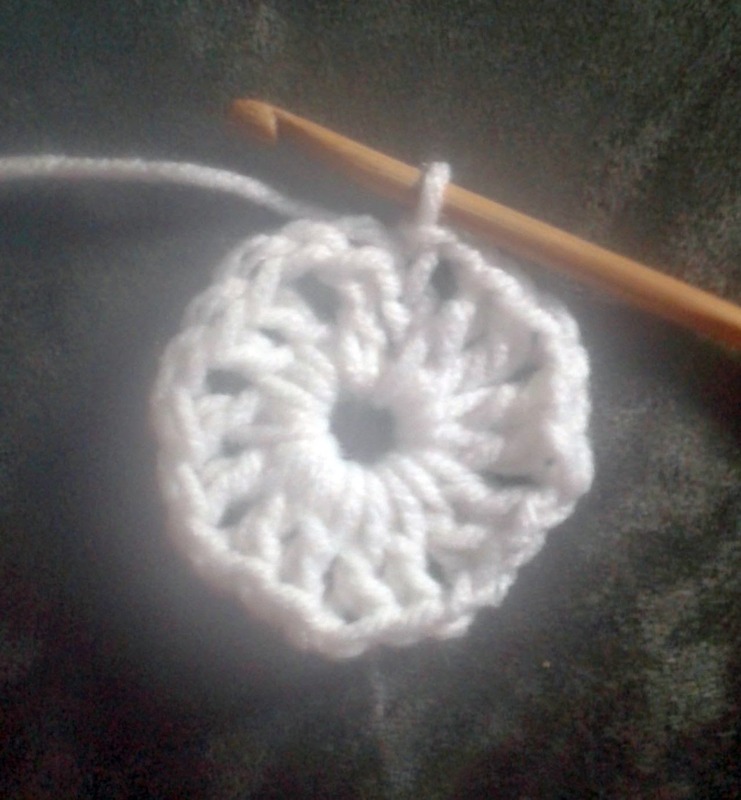 · Size 5.00mm (H) crochet hook. 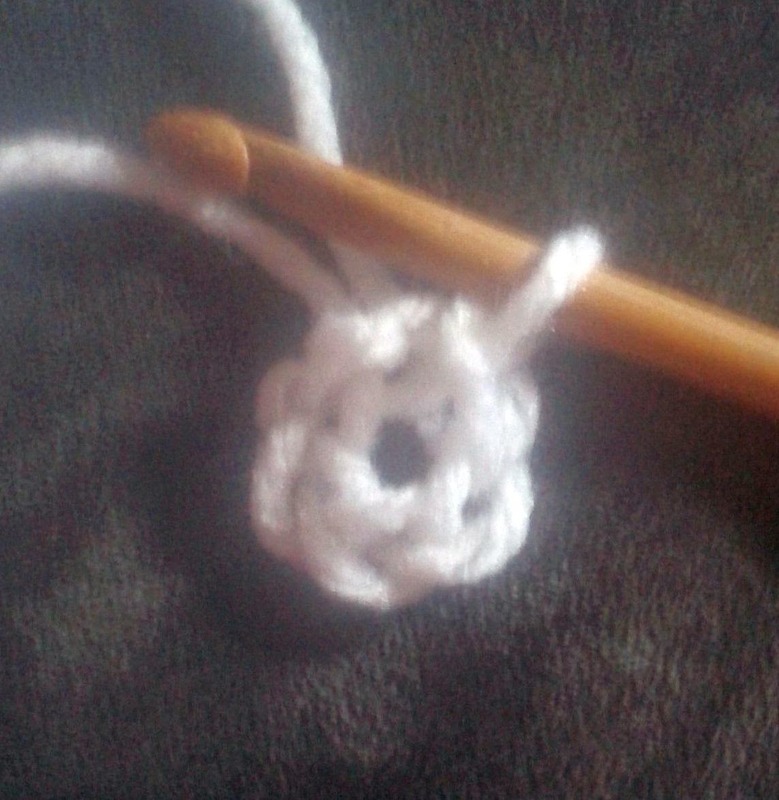 With Main Color; ch5, sl st in 1st ch to form a loop. Rnd 2: Sl st in next dc. Attach Accent Color, drop Main Color; sc in ch1 space; ch1, sc in next 2 sts, work a long dc (between 2dc clusters) that extends down into the center ch5 loop; skip over ch1 space, *sc in next 2 sts, sc in ch1 space** twice; *sc in next 2 sts, long dc (between 2dc clusters) extending into the center ch5 loop, skip over ch1 space** 3 times; sc in next 2 sts, sc in ch1 space; sc in next 2 sts, sl st in the 1st sc to join. 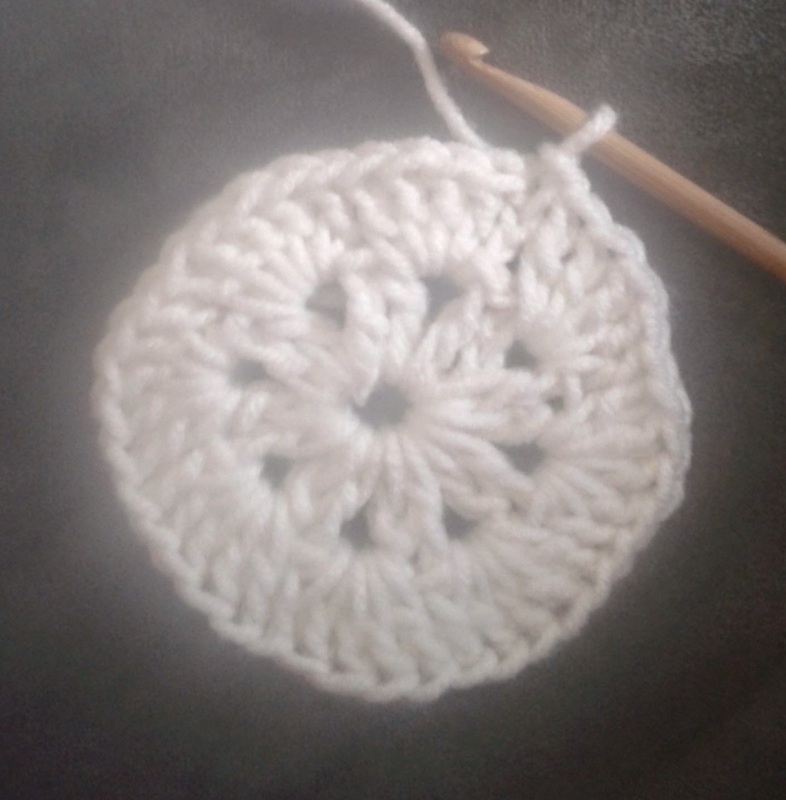 *Note: You may continue on as many rounds of granny stitch as you like by repeating this sequence. You will be increasing 3dc (or one 3dc shell) on each side of the square for every round added, ch2 in each corner. 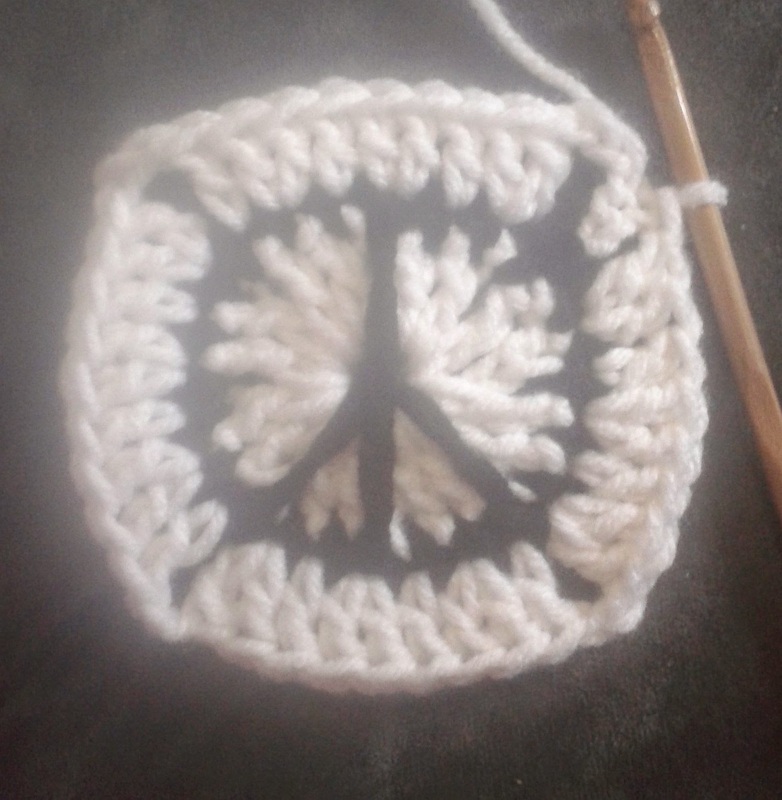 © 365 Crochet o/a Firene Designs 2015. All Rights Reserved. No part of this pattern may be reproduced, copied, or modified, without the prior written consent of the author, unless otherwise indicated. 1. 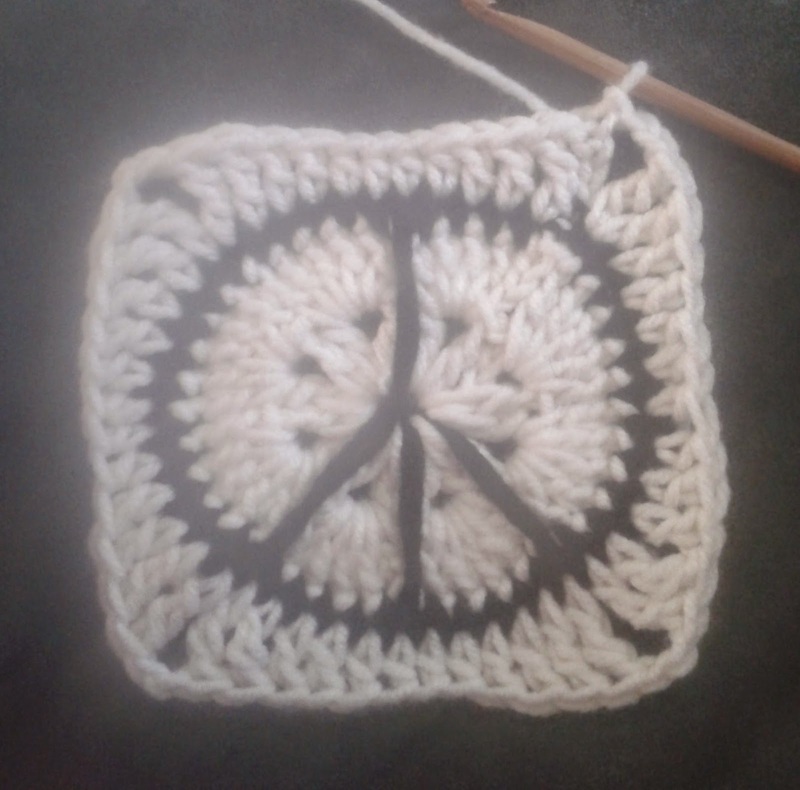 Link to this pattern via Social Media.